Indigo trio formed in 2016 when three classically trained musicians from different backgrounds met in the ‘Ecole Normale de Musique’ in Paris. Since then trio already had opportunities to perform for English, French and Dutch audiences. With a great interest in expanding the repertoire and exploring new possibilities, Indigo trio performs various arrangements, as well as original music for flute, clarinet and piano. 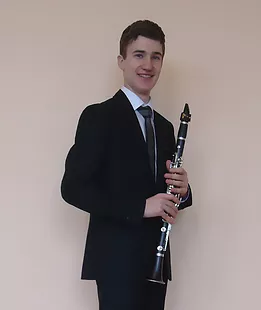 Lithuanian born clarinetist Antanas Makštutis started his studies at Juozas Naujalis music gymnasium in Kaunas with Vitalius Žemaitis. Received bachelor‘s degree from Royal Academy of Music in London where he studied with prof. Mark van de Wiel. In 2017 received Diplôme Supérieur de Concertiste from Ecole Normale de Musique in Paris, class of prof. Patrick Messina. 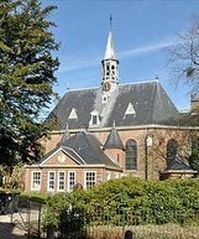 Currently in 2nd year of Master’s degree at Conservatorium van Amsterdam with prof. Harmen de Boer. He is a laureate of over 25 international competitions including: 2nd prize in the 15th International clarinet competition “Citta di Carlino” 2017, Garnd prix in International competition " Music without limits“ 2016 in Druskininkai, Lithuania, 2nd prize in XII International clarinet competition „Saverio Mercadante“ 2016 in Noci, Italy, Grand prix winner in „Kaunas Sonorum 2011“ in Kaunas, Lithuania. He performed as a soloist with Lithuanian Chamber, Kaunas Symphony, St. Christopher Chamber and Šiauliai Chamber orchestras. Awarded with the gratitude diploma from the President of Lithuania Valdas Adamkus and the current President Dalia Grybauskaitė. Performed in side-by-side projects with London Sinfonietta, Nash ensemble and Orchestra of St. John’s players. 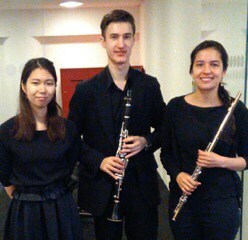 Played principal clarinet in Royal Academy of Music symphony and Ecole Normale de Musique orchestras. Last year appeared in a concert with Orchestra National de France. He appears on the Royal Academy of Music Soloists Ensemble’s CD recording of Mazart‘s Gran Partita conducted by Trevor Pinnock (Linn Records). 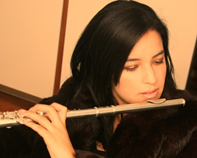 Cristine Avila started her musical studies in Bogota, where she had the opportunity to learn diverse repertoire from traditional classical to Colombian rhythms, later she could travel to Caracas – Venezuela where she joined the National Flute Orchestra and had the chance to study with some of the most renewed flute players from “El Sistema”. Cristine finished the Bmus in Music at Trinity Laban Conservatoire of Music and Dance – London in June 2015, and now she has been improving her performance skills in the flute and piccolo studying the Diplome d’execution in the Ecole Normale de Musique de Paris. 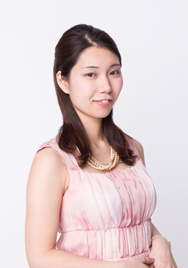 Misato Takeda Born in Kanagawa, Japan, and began her musical studies at the age of 4. She graduated from the Toho Gakuen High School of Music and the Toho Gakuen University of Music in Tokyo. Since 2016, she has been studying at the Ecole Normale Musique de Paris where she is studying piano with Marie-Catherine Girod and chamber music with Paul Montag.